This is a Formal Rating that appears on your Pilots Licence. Training must be performed by an instructor who is authorised to train for the rating, at an Approved Training Organisation (ATO or DTO). On successful completion of training, you will need to apply to the CAA for the Rating to be added to your licence, with supporting documentation. There is no test for the issue of the rating, and the rating is valid for life thereafter, with no revalidation or renewal requirements. 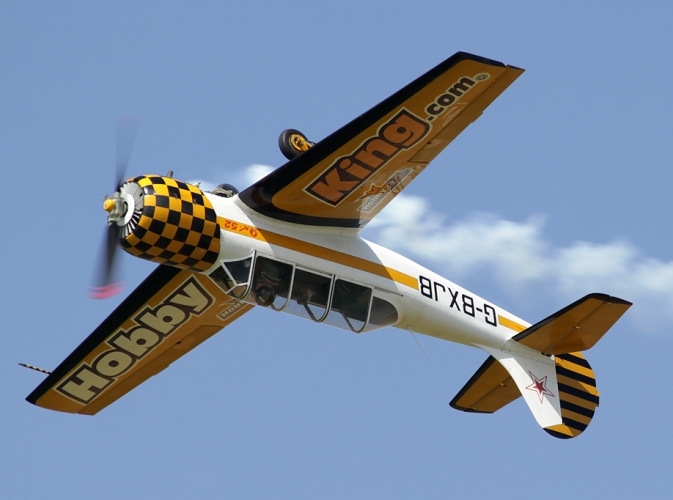 The Aerobatics Rating is a fantastic logical step to take, even though you may not wish to perform aerobatics! The reason is that you'll become a better handling pilot as a result, and have more confidence on your own abilities. Whilst we can teach the rating in any 2-seat aerobatic aircraft, we would urge you to train in an aircraft that presents some challenges in the way of handling and performance. It's relatively easy to perform aerobatics in an aircraft designed to do just that (such as a Yak or an Extra). It's much more difficult to get a Cessna Aerobat to do what you want nicely! If you already have an aerobatic rating, it's vital to get some dual training on any aerobatic aircraft you're new to - especially an aerobatic one - since these aircraft may well have areas of the flight envelope to be wary of until you have experienced them! We have various locations which meet the requirements to train you for your Aerobatics Rating. At least 40 hours of flight time or, in the case of sailplanes, 120 launches as PIC in the appropriate aircraft category, completed after the issue of the licence. The privileges of the aerobatic rating shall be limited to the aircraft category in which the flight instruction was completed. The privileges will be extended to another category of aircraft if the pilot holds a licence for that aircraft category and has successfully completed at least 3 dual training flights covering the full aerobatic training syllabus in that category of aircraft.